Plastic Flip Top Cap offered find application in dispensing liquids like shampoos as well as lotions. These bottle caps are finished optimally so as to ensure safe and secure usage. 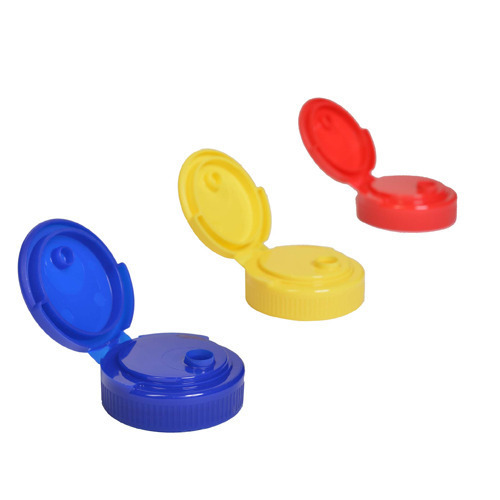 Made available in various colors & size options, these caps are manufactured through Injection Molding process that makes these closures suited for oil, shampoo as well as host of other liquids. Being easy to open as well as requiring less effort to handle, these can be provided in different sizes and colors.